HTC has posted a bizzare image on Twitter, which says For U — 01.12.2017. If you are wonderong what that is, it’s the American format to write the date (MM/DD/YYYY). So that is 12th January 2017. What is it about? We think it may be a new device, but the teaser image is far too cryptic, and there are absolutely no clues whatsoever, which may tell us what the event is for. 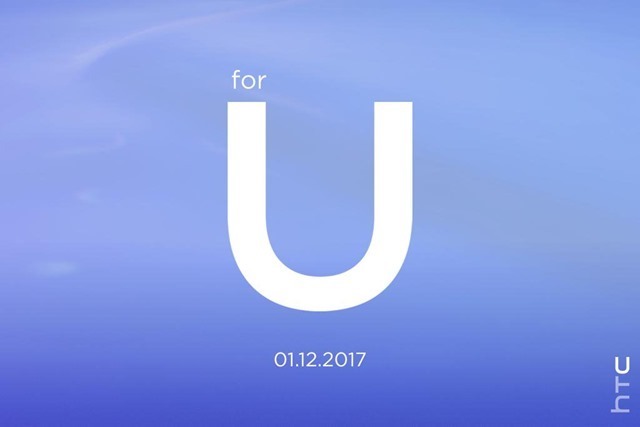 The U resembles the C in the HTC logo, in the bottom right corner of the image. Well, even that means nothing. The date, however, is an odd one, since it is a week after the CES 2017 concludes. So this is indeed a very mysterious tease. HTC has already released the Android 7.0 Nougat update for the HTC 10 and the HTC One M9. But it is not available in many regions. Could it be a teaser for the launch of Android N (U = inverted N) for Unlocked devices in the rest of the world? Does the U stand for a Universal update roll out? We don’t thinks so, because the Tweet was posted on the company’s US account too. Only time will tell us, if HTC will launch a new device?